Forenote: There will be a healthy amount of archive links that are embeded throughout the article. Therefore, it must be iterated now that an archived link cannot be ‘faked’ or ‘photoshopped’ — that is not how the process of archiving works. Sites such as ‘archive.is’ and ‘The Internet Wayback Machine’ take a ‘snapshot’ of a certain webpage via robot crawlers or from specific user submissions. This essentially encapsulates the pages ‘in time’ forever (in most cases). The critical flaw of The Internet Wayback Machine, however, is that it obeys the robot.txt (back-end web developer stuff), that grants or denies permission for ‘robots’ (search engines like Google, Yahoo!, Bing, etc.) to crawl the internet and index the website. So, if The Internet Machine archives a website, but the website owner then decides to deny robots.txt on that specific web page, then the archive will essentially be ‘deleted’. That’s why our preferred source is the website ‘archive.is’, because they do not obey/listen to these scripts and they keep the archived version of the page forever, regardless of the desires of the website owner or any other outside force. With that being said, it should be noted that certain comments, remarks, and excerpts must contain some information that the company, Ripple Labs, finds damning to a certain extent if they have went through the effort to purposefully obfuscate/scrub/delete/redact/replace information on their website. As you’ll see in this breakdown, much of that information pokes holes in the theory that $XRP is not an unregistered security. The goal of this piece is not to hurt Ripple Labs, but to promote greater transparency in the crypto community. Altering public information in order to give investors an inaccurate perception/idea of their investment is unethical in a number of ways, and objective, in-depth journalism serves as the perfect counter to such maneuvers. You are free to either accept or deny the affirmations included within this piece. This is the biggest myth that has been perpetuated repeatedly throughout Twitter and other social media outlets/publications. The reason why this lie has been perpetuated is because individuals do not want the $XRP token to be deemed a security. From here, we must look at ‘Who is OpenCoin Inc.’? Numerous sources attest to the fact that $XRP was created by OpenCoin Inc., and so has Ripple themselves (see #1); this is indisputable. The company, OpenCoin Inc., did not cease to exist, they simply re-named themselves to ‘Ripple Labs’ in 2015. This is also information that is well-known, publicized in reputable locations (like the Bloomberg link just cited), and easy to verify. 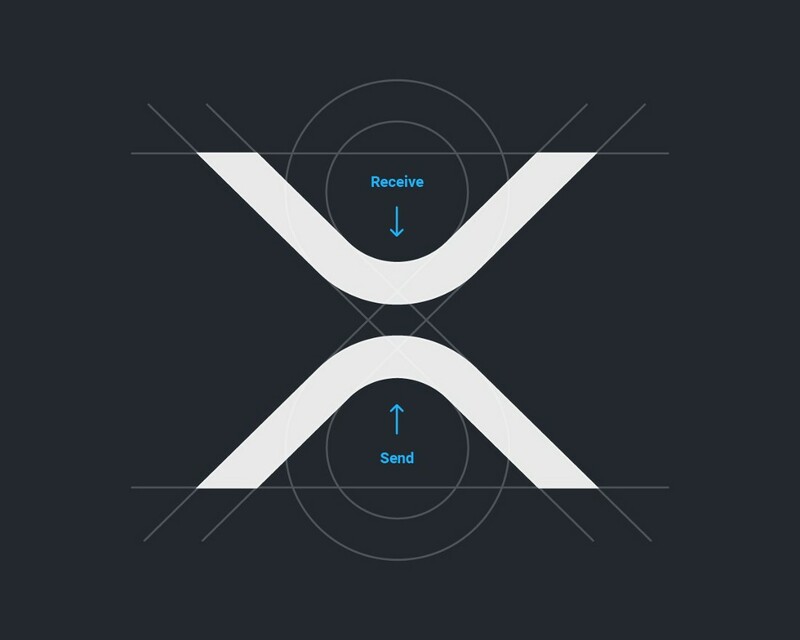 When you put #1 and #2 together, it is impossible to dispute the fact that Ripple Labs created $XRP. Many in the community have attempted to depict OpenCoin Inc., as an entirely separate entity from Ripple Labs, but this is not the case. OpenCoin Inc. = Ripple Labs. OpenCoin Inc., created $XRP. 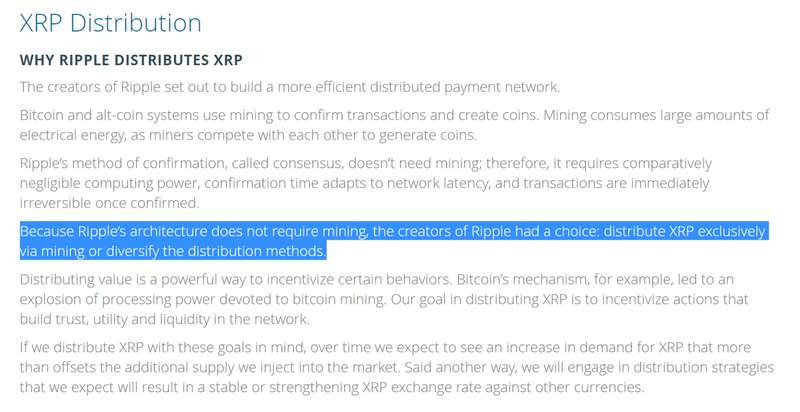 Therefore, Ripple Labs created $XRP. So, as seen above, Ripple Labs essentially has held over 2/3rd of all of the currency at one point. It’s worth noting that there is an asterisk next to the numerical amount of total $XRP held by others (33 billion XRP tokens). At the bottom of the page (in the screenshot as well), Ripple writes, “Total includes business development agreements that are still pending.” Thus, it can be concluded that Ripple Labs more than likely owned more than the 67% partition that was listed on their website at that time. As if this is not enough, Ripple (the company) has included excerpts on their website in both the past and the present that assert they are the primary individuals responsible for the distribution of the token itself. In this link, Ripple [the company], specifically states that they are the sole entity responsible for the distribution of the Ripple token ($XRP). Therefore, we can assume that any exchanges, institutions, and/or individuals that have obtained the Ripple token have only been able to do so because of actions initiated by the Ripple company itself. As they eloquently stated in the above excerpt, there is no ‘mining’ process or otherwise that would lead to the creation of the Ripple token by any independent, third-parties (i.e., like what you see with a decentralized protocol such as Bitcoin). Given the above facts, it is almost impossible to argue that the company, Ripple Labs does not own $XRP. Those that attempt to argue against these facts more than likely have an agenda that is tied directly into the financial success (i.e., the appreciation of its exchange price) of the token and would rather press forward disingenuous arguments in order to warp the public perception in a way that favors their personal interests. In the next piece, we will look at dissecting the second myth about Ripple Labs and the Ripple token, which is that the token has not been used as a fundraising measure by the company itself.